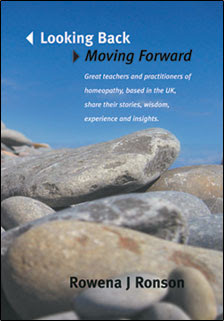 Galahomeopathy is delighted to welcome back one of our most popular speakers Myriam Shivadikar. Myriam's classical and medical training combined with a practical and spiritual approach make her a unique teacher, known for her fresh and visual presentation style. Myriam uses her extensive homeopathic experience, along with insights from the Anthroposophical cycles of life and Astrological medicine, to support the “mind, body and spirit” of patients of all ages. Astrology is the science of the stars (Astro – stars; Logia – knowledge) out of which grew the science of Astronomy. We must become aware of the energy, which streams to us from the Universe – as did the Ancients and up till the current era of scientific materialism. Historically the practice of Medicine and Astrology were never divorced as they are now; we seek to establish an understanding for a new future in medicine. This simple, yet effective system of astrology is based on ancient wisdom using Planetary Cycles, which activate the Chakras. You do not need to have prior knowledge of ‘Western Astrology’ to use this system. How these Planets resonate with our Chakras. 7 year cycles – why diseases manifest at a specific ages? What are the Critical Ages of our life? How to predict and prevent diseases.